Over the years, CMI has from time to time been made aware of the case of a puzzling ape-like creature named ‘Oliver’ (pictured below). Enquiries would come, from both concerned Christians or challenging sceptics, concerning Oliver’s peculiar mix of ape and human characteristics. Was this an ape on its way to being human, some sort of ‘living missing link’? Or, even more disconcerting, was this a human-chimpanzee hybrid? The information, and the photos of Oliver, like those above, were both challenging and intriguing. We can easily see that Oliver was certainly different. Many have commented on his bald, small, egg-shaped head, which in normal chimps is hairier, larger and flatter. His jaws are also less protruding, much more like those of humans. His pointed (rather than rounded) ears and even his freckles were the subject of much speculation. Then there was his behaviour. 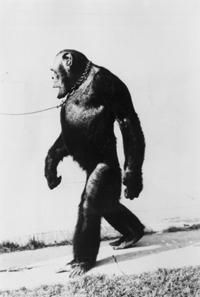 Reports indicated that Oliver had not been accepted by other chimps, and preferred human company. He habitually walked upright, and sat crosslegged in a chair like humans. And he had seemed to come to ‘fancy’ his owner’s wife. An ape-human hybrid now seemed impossible to deny—right? Wrong! What could we say to enquirers? The bottom line was that we did not have enough information to come to any firm conclusion. What we did have, though, was the biblically-based assurance that chimps and humans are undoubtedly not the same Genesis ‘kind’. Hence, because things breed ‘after their kind’, they would not be able to interbreed (barring some Frankensteinian gene man­ip­u­lation by humans). 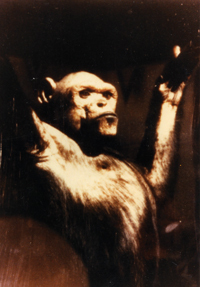 So no matter how things looked on the surface, there would have to be some explanation for this ‘humanzee’ once all the facts were in. Is this an ape, a human, or an ape-human hybrid? But then along came reports that Oliver had allegedly been found to have 47 chromosomes: right in between the 46 of humans and the 48 of chimps. An ape-human hybrid now seemed impossible to deny—right? Wrong. After years of being exhibited in sideshows as a freak or ‘missing link’, then spending seven years in a tiny cage waiting to be leased out for scientific or cosmetic testing, Oliver was mercifully retired to an animal sanctuary, Primarily Primates, Texas. 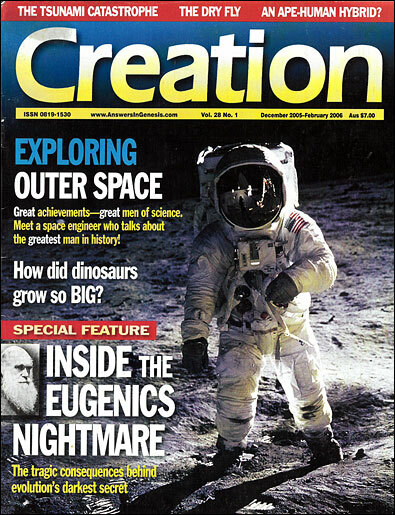 In 1996, at the request of the sanctuary’s director, Wally Swett, Chicago University geneticist Dr David Ledbetter examined Oliver’s chromosomes. The result? 48 chro­mo­somes—just a chimp after all. 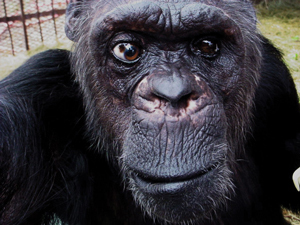 In addition, banding and other studies of the chromosome excluded even the possibility of a hybrid between a common chimp and a Bonobo1—Oliver was just a West African chimp. Suddenly, one was able to discover that others had concluded in the 1970s that there were some much more prosaic explanations for all the other ‘hybrid’ or ‘humanoid’ features. Oliver as he is today—nearly blind, arthritic and showing little trace of the ‘human-like’ characters that led to his renown. For instance, the odd shape of his ears, head, freckles—and the baldness—were all within the range of normal chimp variation. His gait and behaviour were, it had long ago been concluded, the result of simple conditioning from living with humans. Ah, but why did he not share the strikingly protruding jawline of other chimps? Simple. His teeth had all been pulled long ago. As a result of this, he had developed resorption of the alveolar bone (that containing the tooth sockets), a shortening of his upper jaw bones, and underdeveloped temporal muscles. So not only is there a logical explan­ation that fits all the facts, but there is a lesson. Namely, that just because one does not have ‘all the answers’ at any point in time does not mean that answers will not be forthcoming. If one starts with the ‘big picture’ framework of history given in the Bible, one need never fear, in fact one should welcome, finding out as many facts as possible. 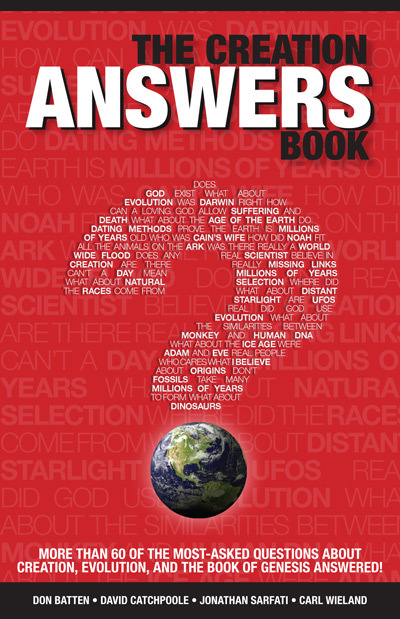 This is because even though our inter­pretation of facts may be flawed, the Bible isn’t. Hence the more facts available, the more they will overwhelmingly support what the Bible says, even if it doesn’t look that way at first.